BioDieselNow.com – Forums for biodiesel fuel use in diesel cars, trucks, boats, home heating, and other diesel engine. Bio-power.co.uk – A network of UK-based companies making biofuels from renewable materials. Website contains a wealth of useful information for anyone considering powering their car with biodiesel. BioDiesel Filling Stations – List of places in the UK where you can fill your car with biodiesel. BioRoute – Specialist suppliers of competitively priced bulk Biodiesel delivered direct. vegoilmotoring.com – Great site to view as an introduction to the use of vegetable oil as a fuel. 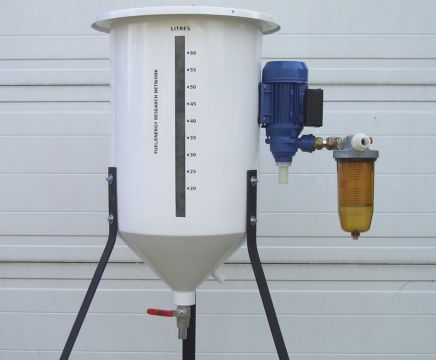 greasecar.com – Resources for anyone interested in vegetable fuel systems. VegBurner.co.uk – A very useful collection of documents on using vegetable oil as a fuel for vehicles.